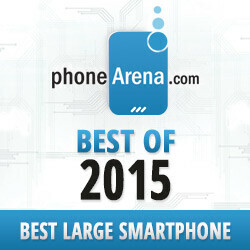 Well, guys, 2015 was yet another great year for smartphones. Maybe we didn't see the first-ever bajillion-core processor, but we got to see the first in years super-shiny Samsung flagship, the pressure-sensitive 3D Touch display of the iPhone 6s, and a 4K display adorning the front of a smartphone – the Xperia Z5 Premium. But what are smartphones, if they are not filled to the brim with great innovative content from the App Store and Play Store? Well, hypothetically, they could still be pretty useful tools, but let's not get literal here. This past year, we saw quite a bit of cool, interesting, or just plain well-working apps get released. And while Google and Apple both did their own selection of best 2015 apps on the Play Store and App Store, we thought we'd go ahead and comb through our own favorite downloads for the past 12 months. We tried being concise, but hey – apps are aplenty! So, in no particular order, let's check them all out! Ever since its inception, Google's Store has managed to easily overtake Apple's App store in terms of a sheer number of apps available for download. This is hugely thanks to Google's lax rules on what apps are acceptable, and because of Android being much more accessible for both developers and consumers. So, despite the fact that the iOS store still leads in revenue, app makers can't ignore Android lightly, and apps are usually developed for both platforms, often even launching on Android and iOS at the same time. Here are the best new apps from 2015, which are currently available on the Play Store and App Store. Seene is a pretty fun little photo app, which allows the user to take semi-3D pictures. The way it works is – the user taps the shutter button, then tilts the phone slightly in order to get a different angle on whatever they are shooting. The resulting picture will allow viewers to swirl the phone around, in order to look at the object at different angles. The app has a social segment – much like Vine, or HTC's Zoe, which lets you browse other users' Seenes. HERE Maps is a service provided by Nokia, which allows users to pre-download the maps of their region and then experience real-time turn-by-turn navigation without the need for any type of data connection. This is both great for users who are on a budget, and users who just so happen to be traveling and can't rely on fast data coverage at all times. Sure, Google Maps might be getting that functionality now, but hey – HERE was first. A pretty great file sharing and transferring tool, which has versions for Android, iOS, Windows PC, and Mac PC. It's free, fast, and looks really nice to boot! An offering by Microsoft, Office Lens is all about taking a picture of whatever document / sketch you are looking at and converting it into a digitally editable note – much like the Photo Note function that was introduced with the Galaxy Note 4. Microsoft's offering can turn the images you capture into Word, PowerPoint, or PDF files, or just instantly upload the photos to OneDrive and OneNote. A great little app for professionals or students. Avid gamers know what Twitch is – it's a service where you can stream yourself playing your favorite games, or, more precisely, watch others stream themselves and weep over how you will never be this good. You can now do the latter activity from the comfort of your mobile device! Not a game by Valve, but a very cool app by the creators of Pushbullet – Portal lets you quickly send files from your PC to your phone. You don't need a separate program installed on your computer – it's all done via the portal.pushbullet.com website. Neat! If you love .gifs as much as your average Internet-aholic, you probably know what Giphy.com (hint: it's one of the Internet's largest .gif libraries). Now, we all love to (or know somebody who loves to) express ourselves with a funny animated picture now and again, and often times, Facebook's stickers just don't cut it. GIPHY for Messenger is here to sate your .gif sharing needs, as it eliminates the need for you to open the images in the web browser and sharing them via links – this little app will allow you to immediately pick a .gif and send it to any one of your Messenger contacts. Gallery Doctor app analyzes photos from your gallery and suggests the ones that it deems unworthy for your phone's sacred storage space. Don't worry, it won't auto-delete anything – if it's uncertain on some images – it will present them in the form of a card stack, where swiping right on a card saves the photo, while a swipe to the left deletes it (Tinder-esque); this process has auto-learning, which will try to better guess your preferences next time around. As far as images that the app is sure about – it will show them to you in a list of thumbnails, allowing you to "check" the unneeded ones and delete them all in one tap. Dreamify turns your pictures into creepy, disturbing, yet interesting and unique images by applying a variety of filters on top of them – filters that react to the various shapes and lighting in an image, which guarantees that no two pictures will have the same overlay generated on top of them. The app is a bit heavy, takes a while to load and a while to render, even on a powerhorse of a smartphone, but if you are into unique, downright weird effects – you'll like it. Who needs 1080p if you can have the good ol' VHS quality, right on your iPhone-captured videos? Well, OK, there's plenty of reasons to praise the current state of digital tech, but if you want to have some fun, maybe even add a touch of nostalgia to a certain scene, VHS Camcorder can help you. The app recreates a visual effect that is well-known to those, who remember the good ol' video cassettes from the 80s and 90s – that of a battered and used VHS Tape. You may have noticed the aesthetic of recently famous Internet movie Kung Fury to be a bit weird. Well, that's because it was simulating just that good ol' 80s and 90s VHS vibe. This app will let you mix, match, blend, and re-touch the clips from your phone to make a creative video file of your choosing. Additional features let you add a soundtrack, or even sprinkle some pictures on top of the clips, should the need call for it. Twitter, Inc.'s live streaming app, much like Meerkat. Of course, being developed by Twitter itself, this one integrates with the social media's platform just a bit better. The whole app is elegantly simple and can generally be controlled with a few swiping gestures. The point is simple – if you have something worthy of streaming to the world – launch the app and point your phone towards it. Viewers can chat (the broadcaster sees the messages, too) and “heart” the broadcast, but the focus of the app is always on the actual stream. Despite both Android and iOS being hugely popular, some developers still prefer to keep their apps exclusive to one platform or the other, or just take a lot of time to port them over. There are a lot of Android tools out there that just can't work on iOS, due to its restrictive nature, so they remain firmly planted on Play Store grounds. Such apps will enhance your notifications, let you place reminders in more visible places, or expand on the user interface by placing floating bubbles or overlays on top of it. Here are the best new apps from 2015, which are currently available on the Play Store. There are so many cloud services today, it could get mind-boggling – Box, Dropbox, Drive, OneDrive, iCloud, et cetera and so forth. It is very probable that you have accounts for at least two such services, and it can sometimes get confusing, when trying to remember which files you stored where. Well, Cloudz is an interesting solution – it acts as a hub for all your cloud service accounts, combining their storage in one large bulk, and easing your file-storing woes. Pretty neat! If you are one who finds themselves constantly texting with people in a mixture of different apps, you'll probably find Drupe to be a useful offering. The app gives you quick access to your favorite / recent contacts via a pull-out bar on the left side of your phone. Once you get that drawer out, another one opens at the right side of the screen, displaying your communication apps – phone, SMS, Facebook, Hangouts, and whatever else you may have installed (WhatsApp, Viber, Skype, et cetera). All you need to do is tap on the portrait of the person you wish to contact and swipe it over to the app you want to use for that specific conversation. If not a much needed upgrade, Drupe is still a simple, elegant, and pretty fresh take on how we use our phones. Collateral lets you add reminders and lists in your notifications drop-down, keeping you constantly reminded of tasks that need to be done. A great and simple solution. Premium users will be able to automatically dismiss notes once they've performed a specific action (“call client x”), attach pictures, add reminders to the notes, and choose card colors (Lollipop and above). Rover puts a chat bubble-esque floating menu on your Android device's screen, no matter what you are currently looking at. Tap the bubble, and it expands to a few (customizable) icons. The app still has its kinks – dragging is a bit laggy and we couldn't find a way to delete shortcuts that we've created, for example, but, according to the developer, work on the project is still ongoing, so we are expecting greater and greater things from Rovers. Solid Explorer is a pretty powerful app, drawn in beautiful material design. It offers deep customization, for what it is, and aggregates all of your clouds in one place. From this app, you can have access to your phone's internal storage, SD card, your Drive, Dropbox, OneDrive, Box, and MediaFire accounts. You can try it for free for 14 days, after which a paid unlock ($1.99) is required. AZ Camera gives you manual controls for the usual suspects – ISO, Focus, Exposure, White Balance, and Shutter Speed. The UI incorporates a huge wheel to help you set up the different parameters for the shot. AZ Camera is built on Android's Camera2 API and supports RAW. For you document-wielding folk out there that often find themselves doing a lot of copying and pasting – Native Clipboard may be a bit of help. The app will automatically collect every piece of text that you highlight and “copy”. When in Clipboard, you can view all your collected “clips”. Tapping on one will automatically copy the text and have it ready for pasting in whatever document you need. With Hyperlapse, Microsoft set out to help users create time-lapsed videos without shakiness. The idea is that we sometimes want to share clips that are just a bit too long, with a lot of nothing inbetween interesting points, so they end up being unwatched even by us. Hyperlapse tries to remedy this by letting us speed up said clips, but keep them relatively un-shaky. There's a lot working in the background and the tech has been demoed since last year. Hyperlapse was beta-launched in May, and is now considered “final”. Give it a go! Accomplish is a pretty cool organizational app, which may look like a light calendar, but is in fact a personal daily agenda manager. It lets you create all the tasks you need "to do" at a certain point. Then, just tap and hold on any of the previously made tasks and swipe it over the hour of the day when you want to do it, set the reminder time, and you're done. Pretty sweet for those who are looking for a way to organize their plans, but do not want to go through the sluggish ordeal of creating a calendar event for all of them. It can still sync to your Google calendar, if you wish it to. Snowball is to notifications what Google's Inbox is to Gmail. It lets you mark "unimportant" notifications and even hide messages from apps that just plain annoy you. That way, your phone will beep much less and only annoy you when something important has to come through. Additionally, every notification is actionable, which means you can reply directly through it (if messenger app), or choose to open a number of apps relevant to the event right from the drop-down menu. NinjaSnap allows you to secretly take mugshots of your friends as they are paging through your pictures. Then, as they are carelessly swiping through, they will actually see all the selfies that they have unknowingly made of themselves. To top it off, you can have the app add “Kanye” to their photos – just as an extra troll touch. You can set up a safe environment with just a number of your pictures, then hand your phone to your victim, and watch as they react. Ink Space is part of the Android Experiments project – one that houses a bunch of interesting apps, which may not necessarily be useful, but would rather show some out-of-the-box thinking and some of the cool and yet unexplored things that Android is capable of. Ink Space does just that – it allows you to draw and doodle on the screen, but as you rotate the phone, the sketch becomes 3-dimensional. No practical use? Sure. Extremely fun and cool to play with – yeah! If you find current browsers a bit too clunky, requiring way too many gestures for simple tasks, such as swapping tabs, you may want to try Tangram. It's a browser, designed around using as much screen space for showing content, with only a few buttons placed on a tray at the top, and a swiping gesture for looking at your tabs. Favorite pages can easily be added to a "stack" for single-tap access, bookmarks can be arranged in sub-folders (yes, yes – innovation! ), and general performance is pretty solid. Texpand is an app, which lets you add short-worded shortcuts to full phrases. For example, you can punch in “omw” and have the app automatically type out “on my way”. It's very comfortable for often-used names or locations. Of course, when it comes to platform-exclusivity, a lot of developers choose to just keep their apps on Apple's platform. The reason for this is quite simple – there are a lot less devices to worry about, and the rules are much more clear-cut. Of course, it has become a bit harder for developers, when Apple introduced extra screen sizes and continues to support 4 year-old devices, but it's generally simpler to keep up with all iPhones and iPads, than with the millions of Android smartphones out there. Nutshell is a fun and innovative take on sharing-oriented photo apps. It requires the user to take three pictures of their surroundings, then pick a transition animation, and plaster some animated stickers on the pictures (if they so desire). The app will then simulate a very convincing video-like effect, when transitioning between the pictures, and will show whatever labels the user chose to put on the images. The result a is sort of a sitcom intro-like, fun way to share things that are currently happening around you. Sporting a $4 price tag, we'd say Enlight deserves it, as it's among the most reliable and feature-packed photo enhancers for iOS. We'd say that if you are about to buy your first photo processing app, or if you are addicted to checking out each and every one of them, Enlight should be in your crosshairs. Weather Nerd aims to be the Weather App to Rule Them All! It combines forecasts from multiple sources, instead of just one, and tries to calculate an accurate medium between any contrasting reports in an attempt to give you the most reliable weather info. A pretty cool app, which organizes its users into a photo-taking Internet flashmob of sorts – every day, you and all other users around the world will have a 10 minute window in which to take a photo of whatever is around you and you deem worthy of capturing. The photos then get aggregated in a giant blurb of “around the world right now!”. You are then free to browse them and, for a fraction of a second, feel connectedness with all of humanity. Or not – you could just really like sharing photos – that works, too. A camera app combined with an editor, which has the capability to take some seriously nice shots. If your iPhone camera is your fifth limb and you haven't discovered a favorite 3rd party app to use, we'd say you definitely need to give this one a spin. A note-taking app that doesn't force you to put away the paper and pencil – quite the contrary. You can use Carbo to take a picture of whatever notes you take and the app's rendering technology will turn them into digital versions of themselves, tucked in your phone's memory. You can also edit them and doodle or mark whatever changes you need to. Carbo now has enhanced support for the iPad Pro's Apple Pencil and the iPhone 6s' 3D Touch. Spark is a very cool "actionable"-type email. What we're saying here is that it obviously took a lot of cues from Google's Inbox. This is in no way a bad thing and we quite like the client app. If you don't agree with Inbox's Material Design looks on your iOS device, check out Spark – it's an "iPhone"-ized client with pretty much the same functionality. Obscura aims to do two things – be extremely simplistic and minimal, yet include all the essential controls you might need. The app allows you to quickly set custom ISO and shutter speed and gives you a real-time preview of both settings, which we found quite impressive. Focus is super-sensitive, too, which is sometimes annoying, whereas, at other times, very useful. If you are one who is just now delving into manual modes, but don't feel comfortable with a lot of controls yet, definitely give Obscura a try. A Twitter client worthy of rivaling the official app, Flyte 2 feels like Spark mail (or Inbox, if that's what you use). Every tweet in your feed is actionable – swipe a bit to the left and you favorite it, swipe all the way and you get into the conversation. Swipe a bit to the right for a retweet, swipe all the way right to reply. The interface is fully cleared up, as all options are in a pop-up menu, which hovers in the bottom of the screen, hidden by your profile's portrait. Tap said image and you get the options to get to your messages, contacts, tweet composing, your own profile, or back to your feed. A pretty nifty app that Twit-heads should check out! It's fully free (no ads, too), but the developer does offer two themes, each costing $2 – just in case you wish to support them. Bricolage takes its effects seriously, giving the user over 100 to choose from and chain together. The app can work with both photos and videos and touts Hollywood pro-grade results. Well, we wouldn't say you will be making a blockbuster with Bricolage, but if you take your photo editing seriously, we suggest you give it a look-over – you will probably end up keeping it. For the artists out there, Astropad Mini emulates a Wacom graphic tablet experience. The user needs to link their iPhone to a Mac, so they can use the app as a drawing board, great for touch-ups of the images they are working on. Astropad supports a wide variety of iOS styluses, and is said to work with any Mac graphic-editing app. Imgur is a popular Internet website, which houses a huge collection of funny, interesting, or mildly entertaining images. Grrr is an app, which allows you to easily browse Imgur on your phone, with posts arranged in an easily scrollable list view, the ability to add favorites to custom folders, or to revisit recently viewed pictures. Simple, straightforward, effective. BizyMe is a super-fast to do list, designed to let you make, rearrange, and remove tasks as fast as possible. After all, the hassle with organizing them is probably one of the main reason why many of us don't use to do lists in the first place. With BizyMe, you can take a note by just holding a finger on the screen and talking into the phone – the note will be added via voice recognition. Swiping tasks away removes them, and the editing screen, reached by the edit button in the top-left, allows you to easily rearrange them. We told you – fast and simple. Peng! is a location-based reminder app. What this means is that it will remind you to do specific tasks when you get to an exact location. For example – it can notify you not to forget to pick up soap next time you are in the supermarket. The app supports the iPhone 6s' new 3D Touch, allowing users quick access to pre-set locations from the homescreen. Yes, we know – "Not another GIF-making app!". These have blown up ever since the iPhone 6s introduced the new Live Photos. Well, this little guy is not your typical GIF-maker. It's an app that will put actual Live Photos in the Camera Roll of any iPhone that has iOS 9 installed on it. Unfortunately, it's a separate app from your standard Camera app, but when a moving image is taken, you will be able to see it in the gallery, just like you would on an iPhone 6s. Just tap and hold on the photo and see it move. Swipe Dial puts a customizable quick-call widget in your Today drop-down tray. You can add your favorite people to contact up there, so you can call them with a simple swipe-down and tap. A $2.99 in-app buy will let you Facetime call of send SMS texts to said contacts. Being the little guy in the group, Windows Phone is still mostly playing catch-up in terms of apps. Most of the new software that comes out for it has been available on Android and iOS for quite a while, and even Microsoft isn't shy about releasing its own apps to the rivals' platforms as soon as they launch on the Windows Store. Still, we are happy to see the platform is yet to give up, and the newly announced Lumia 950 and 950 XLmay inject some fresh interest into Microsoft's mobile operating system. An offering by Microsoft, Office Lens is all about taking a picture of whatever document / sketch you are looking at and converting it into a digitally editable note. Lens can turn the images you capture into Word, PowerPoint, or PDF files, or just instantly upload the photos to OneDrive and OneNote. A great little app for professionals or students. As the title suggests, this app will let you control your Windows 10 PC from the phone via an Internet connection. Quite handy! This little fellow will translate 90 languages – 40 of which are supported for automatic speech translation, and 26 for camera-to-text translation so you could “read” signs. Similar to a document-scanning app, CamCard is dedicated to photographing and keeping business cards on file. You can then share them via QR code, and sync them with your other devices. Slack is a popular team communication app, which helps offices worldwide with its mix of instant messaging, file-sharing, deep search and 3rd party app integrations. It is finally available for Windows Phone, albeit in beta. Photoshop's image-enhancing prowess, shrunken and made available for Windows Phone. OK, so it's not as glorious as the desktop version, but that doesn't make it uncool! Who said that Windows Phone isn't popular? Here we have one of the most widely used app for texting and Internet calling. We're getting there, folks! I would have loved them in a list form as you guys did in 2014. Nevertheless great Collection.